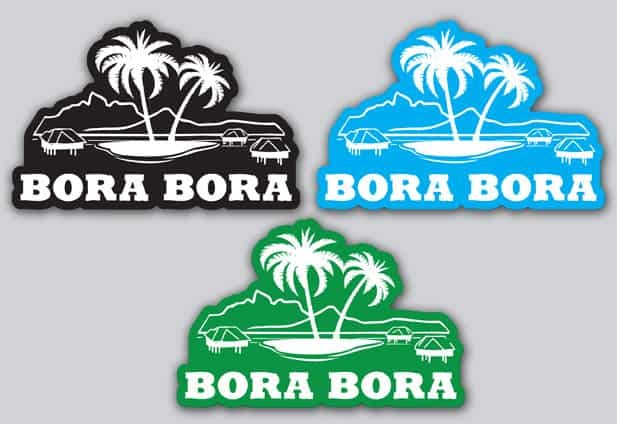 The Bora Bora Yacht Club is just outside the town of Vaitape by a short drive. A restaurant, a bar, and yacht services in one excellent location. Founded in 1972, the Bora Bora Yacht Club has been a perfect place for a good meal while watching an amazing sunset over the lagoon. Jason and I made reservations for 5:30 pm which allowed us to have drinks on the dock before eating. Keep in mind that dinner is not served until after 6:00 pm. I ordered a Pina Colada ($16 USD) which was made of rum, coconut ice cream and pineapple juice and Jason ordered the Mai Tai ($16 USD) which was made of rum, pineapple juice, orange juice, mango juice and pomegranate. The sun sets directly out from the restaurant, and we timed our dinner just perfect. You sit on the dock over the blue lagoon, open air, and gentle breeze. It was absolutely breathtaking. All the sailboats in the marina make for an incredible backdrop. I ordered the Fillet of Mahi Mahi with truffled cream sauce ($36 USD). Delicious! Jason ordered the Rib-eye steak with peppercorn sauce ($35 USD). I had a bite. It was good! We both split the Coconut Cake ($11 USD) at the end of the meal. It was a nice way to wrap up the evening on a sweet note. If you would like to try the Bora Bora Yacht Club for dinner, be sure to make a reservation as they can arrange a taxi to pick you up at your resort. Description: Established in 1972, serving up delicious food and drink with incredible lagoon and sunset views.